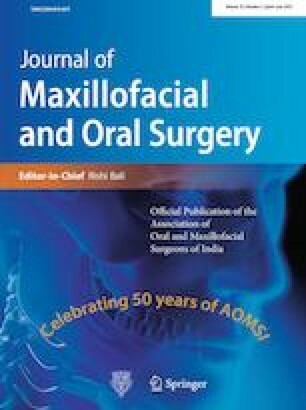 To assess the changes in alar base width in patients who underwent Lefort 1 osteotomy with anterior maxillary osteotomy (AMO), where conventional alar cinch suturing was done to control the alar base widening. This study was conducted on pre-operative and post-operative photographs of 100 female patients aged between 18 and 30 years who underwent Lefort 1 osteotomy with AMO. The derived values were then compared and analysed using t test. The mean alar base width pre-operatively was 14.11 mm and post-operatively was 15.28 mm. The mean increase in alar base width was 1.176 mm. The result indicated a definitive change between pre-operative and post-operative alar base widths with mean increase in width of 1.176 mm (P = 0.000), which is clinically not very significant. The effect of Lefort 1 osteotomy on the alar base can be well controlled by the conventional alar cinch suturing without any additional anchorage on the ANS with predictable results.